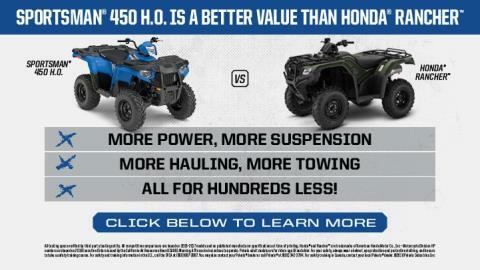 SEE HOW SPORTSMAN® 450 H.O. WINS: See how Sportsman® 450 H.O. wins against Honda® Rancher® in everything that matters. More Power, More Hauling, all for a better value. 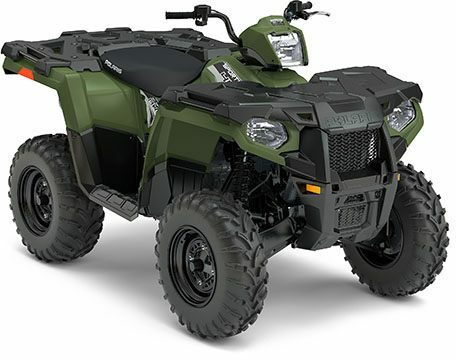 SPORTSMAN® 450 H.O. 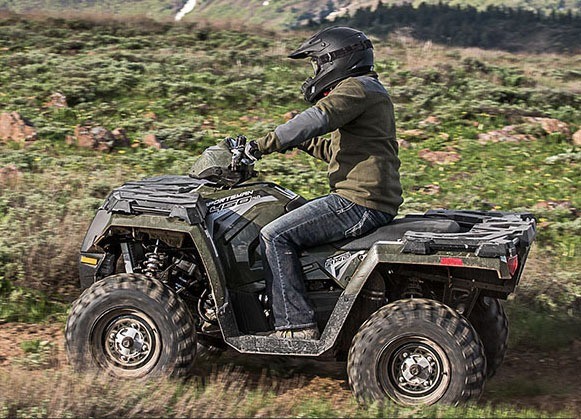 VS. HONDA® RANCHER: When it comes to a hard working and smooth riding recreation and utlity ATV look no further than the Sportsman 450 H.O. 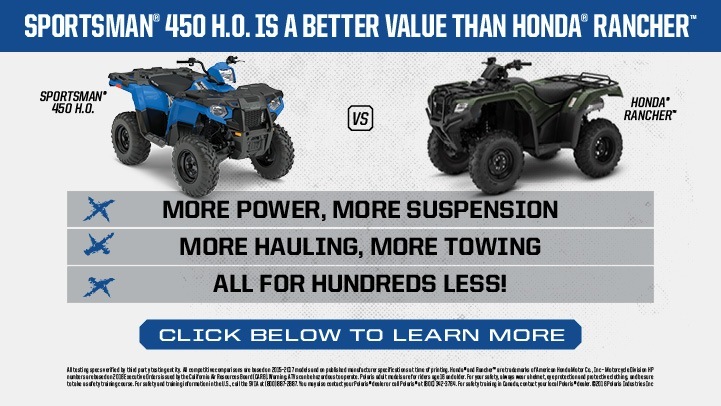 Compared to Honda® Rancher® the choice is clear. Sportsman delivers more power, more towing, more hauling and a more comfortable ride making it a far superior value. HARD WORKING COMBINED 270 LBS. RACK CAPACITY: Carry more with a combined front and rear rack capacity of 270 lbs (180 lbs. Rear, 90 lbs. Front capacity). Sportsman 450 H.O. features flat racks and integrated steel tie downs to easily tie down and secure cargo.